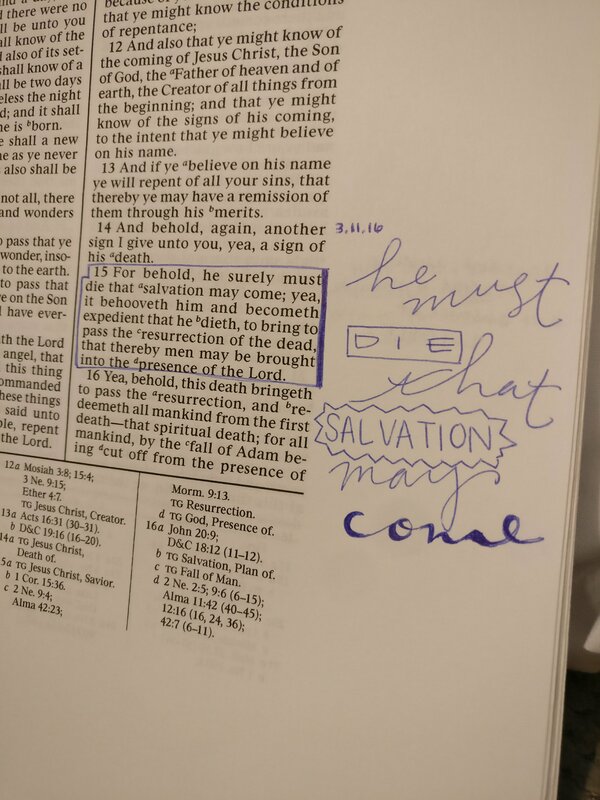 For a while now, I have been enamored with Bible Journaling. It’s beautiful, artistic, and inspiring. 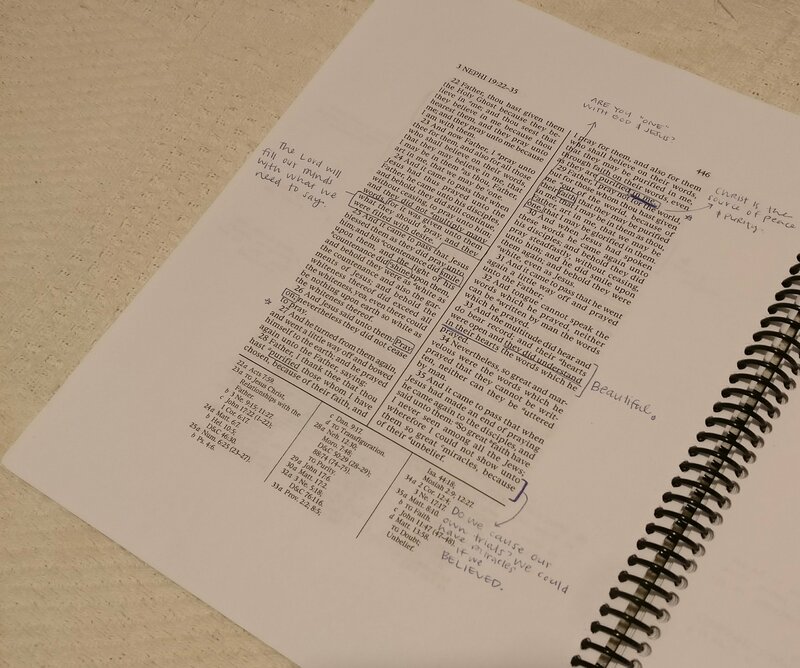 After I ran across Brad Jackman’s wide margined scriptures, I realized I could make Bible journaling and Book of Mormon Journaling a reality. 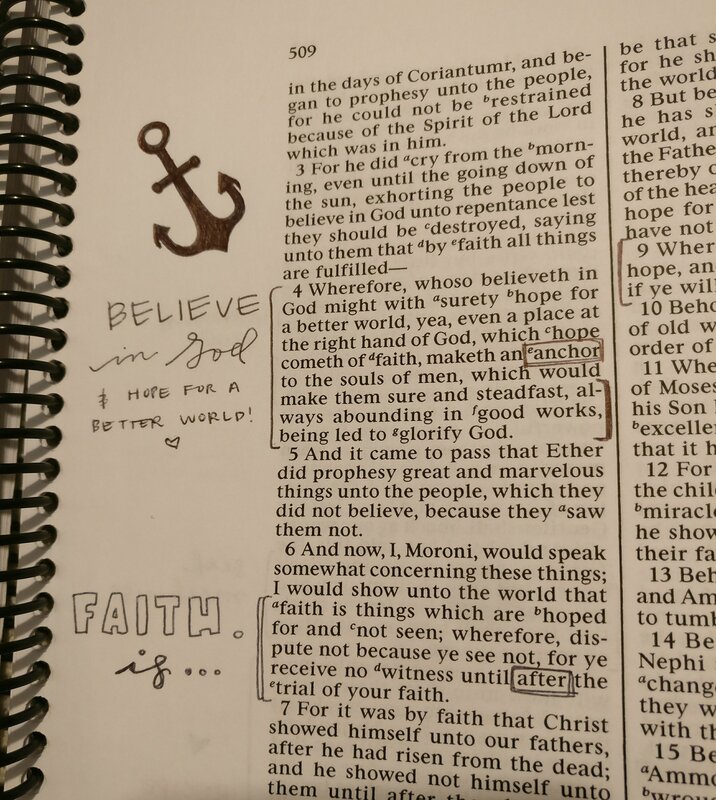 I decided to start my journaling on the Book of Mormon, because that’s what I was already in the middle of, but the Holy Bible is next! 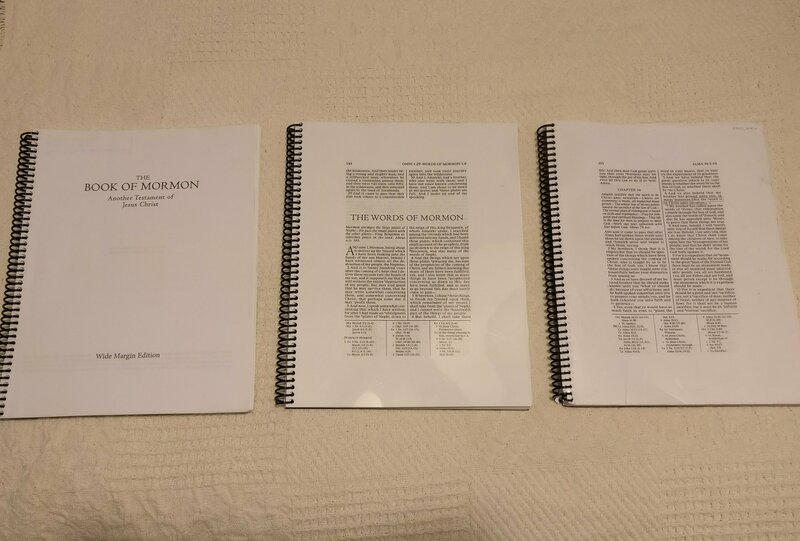 I printed double-sided pages of the entire Book of Mormon. I then took my pages to Staples and had them spiral bind it, and add a plastic front and back. It cost about $12 between all three binding jobs. It was super exciting to finally get started! My first day, I tried a little harder to look more like Bible journaling. But it didn’t take long before I mostly turned that extra space into a note taking space. 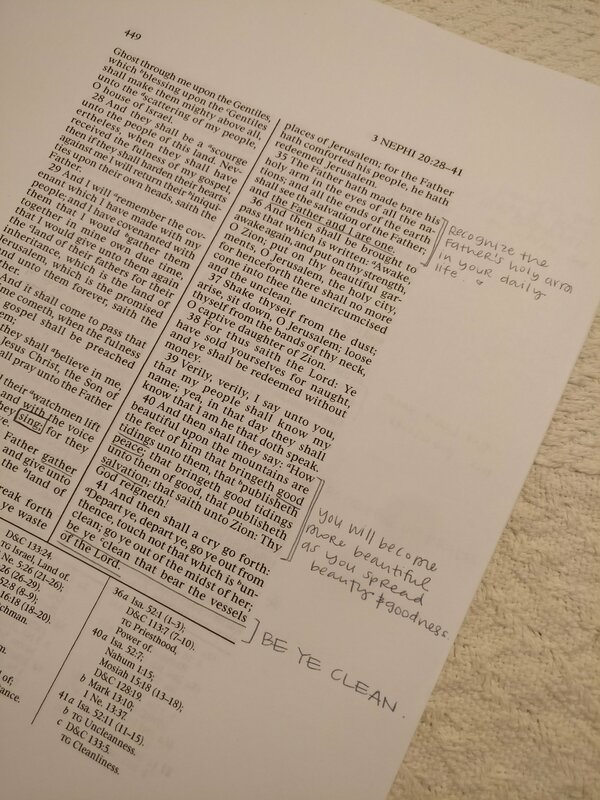 I still love the Bible journaling look, but it was more functional for me to use the margins for comments, questions, and thoughts. 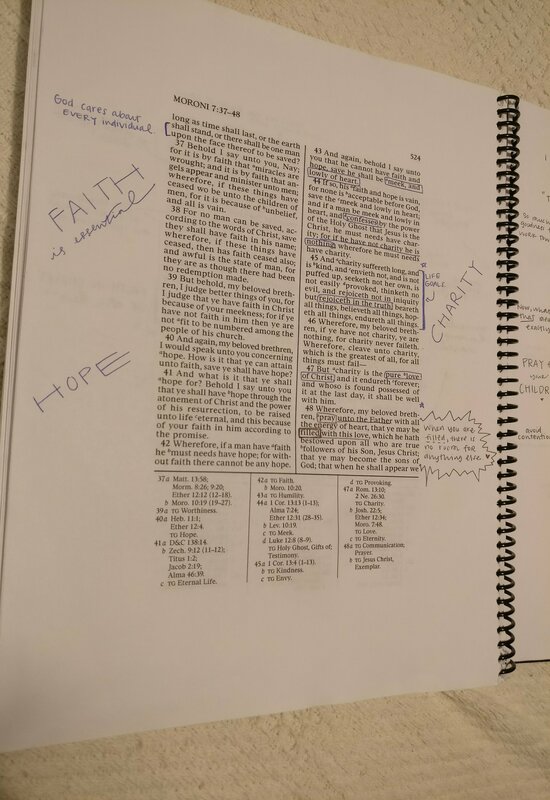 I have been using the wide margins for the last several months, and it has been such a nice way to document my notes! 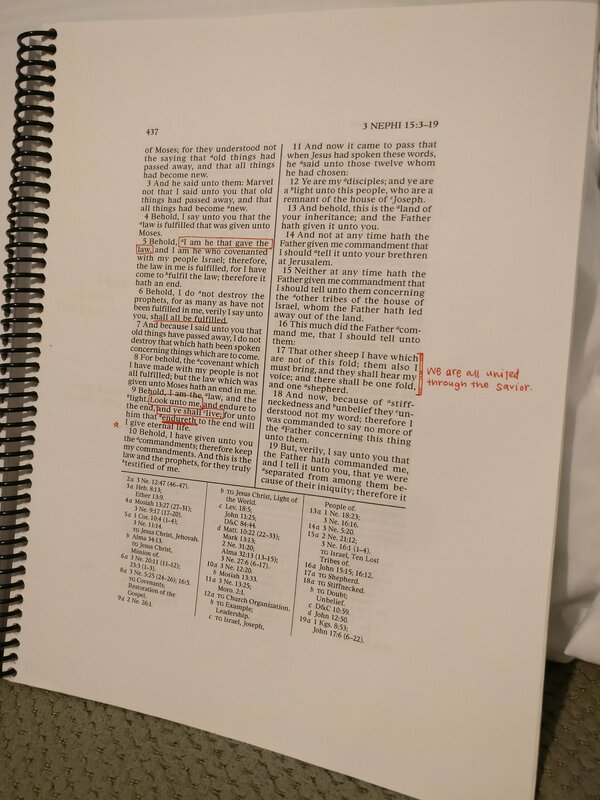 I used to write in a separate scripture journal, but now I can have my notes right beside the verses that they refer to. I also have plenty of room for taking notes the next few times I read through! Try it out for yourself! Get more creative and Bible-journal-y if you want, but recognize that the system also has to work for you. It’s a little bit of an up-front investment, but it’s worth it for how long you can re-use it. And other days I just take notes. 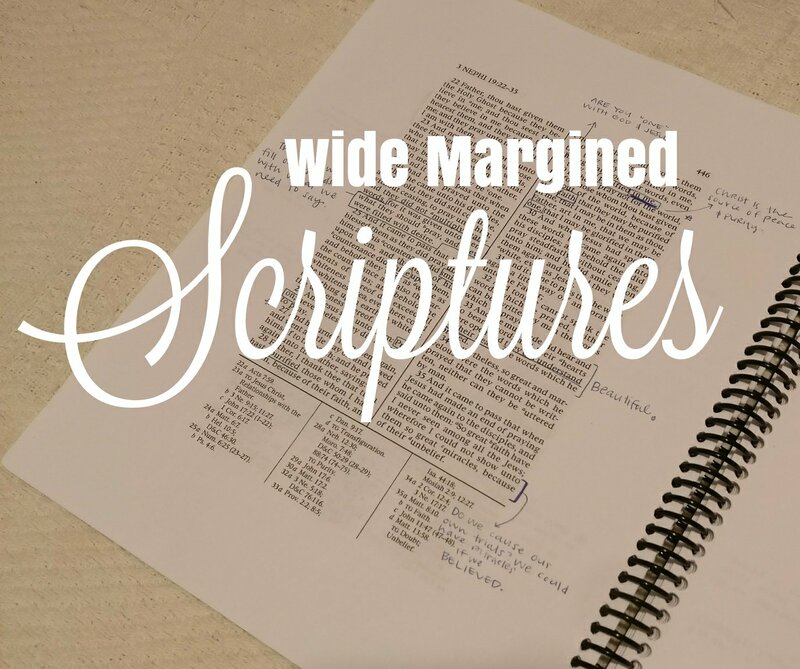 I love having the wide margined scriptures! You should try it out, Ronelle! It’s been really great for me. I like this! Good idea.